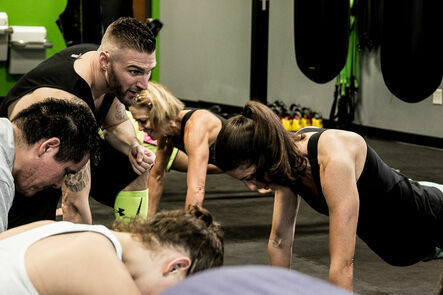 When you workout at IMPACT STRONG, you’ll get the attention of personal training, in a group atmosphere full of energy! ‍‍‍‍‍‍Our Trainers are specially selected, and then highly trained. They are passionate about what they do. You’ll fin‍‍‍d them truly committed to bringing out the best in you. We are good at finding the most passionate, friendly, and knowledgeable Trainers to lead your classes. They will motivate, and inspire you, to get the results you are after! The winner of the very first kickboxing bout ever held in America in 1970 was a very respected man in the martial arts world named Jim Harrison. He had some young boys with a neighborhood friend, Steve Doss, who became a student of this new world of Kickboxing. Training and competing on several continents, a Top 10 World Ranking, and a martial arts school owner, in the mid 1990’s Steve created a workout called Kardio Kickboxing. Steve taught “How To” seminars to thousands of Martial Artists and “Aerobic Teachers” (remember that name?!) in large seminars in 5 countries. Then he stopped. Why? “ I didn’t really like it, or believe in it…” Steve remarks. The old business model of hour long workouts with little variety is still being used today. Kickboxing class in an empty room with rows of roll out or hanging bags - equals a revolving door - people quit - quickly. It is still used today. In addition, drop-in workouts have little social interaction or energy. Reading off a whiteboard what to do has little appeal after the first few workouts for most people. "In 2010 I read a book called PACE by Dr. Al Sears. That’s it! For the first time, I had the real answers to questions that people wanted to know. And the "Perfect Kickboxing Class!" I took Dr. Sears' research, combined it with my own experiences, and made two very unique, better, and shorter(!) Fitness workouts and Kickboxing classes. Both of these two 30 minute workouts combine the right intensity with endless variety." Steve also designed a special Framework that makes these classes special, and people fell in Love with it! NO MORE hour long classes, hitting the same punching bag, or facing the same stations every time you go to workout. IMPACT STRONG became a local sensation in Austin, TX, one of the fittest cities in America, and business is incredible! We are now giving others the opportunity to own, prosper, and enjoy our amazing business! ‍‍‍Recieve our Franchise Brochure and Franchise‍‍‍ Success Strategies. What's the real story of Kickboxing Fitness? IMPACT STR‍‍‍ONG is to try it! © 2017 IMPACT STRONG, all rights reserved. In 1996, Steve Doss created a new class based on basic Kickboxing skills. He started teaching it at his martial arts school, and it became a huge local ‍‍‍success. He named it Kardio Kickboxing. Steve then began teaching “How To” seminars to Martial Arts school owners across America. He also taught it at Fitness Conventions in 7 countries. “Aerobic Teachers” (remember that name?!) in the thousands were introduced to kicks and punches by Steve. As Steve tells it, “I got to where I didn’t really like it, or even believe in it. 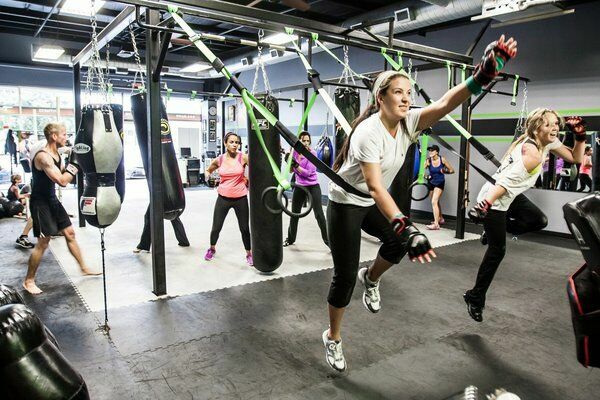 Hour long kickboxing classes in an empty room with rows of roll out or hanging bags ‍offer little variety. . These old business models are still being used today, 20 years later! What is t‍‍‍he Real Story of this great workout? The winner of the very first kickboxing bout ever held in America in 1970 was Jim Harrison, a well respected man in the martial arts world. In his Martial Arts school, Jim taught his sons and one of their friends, Steve Doss. Steve went on to learn and train with many of the Martial Art's greatest. Competing in hundreds of sport Karate and Professional Kickboxing bouts on several continents, Steve Doss held a Top 10 World Ranking.